“You might get lost if we get to the Kumbh Mela. There are just too many people“. These were the words of a harried mom when I was a child expressing a wish to see this rare festival. In fact, she repeated the same when I told her that I was going to the Kumbh Mela 2019. She wasn’t the only one for this festival is associated with the fact that people do lose each other. And naturally so – it is the World’s Largest Gathering of People! The Kumbh Mela has been taking place for centuries now. It has always fascinated me in terms of its origin, the divine show of faith by lakhs of pilgrims, the rare sightings of holy men (sadhus), the cultural associations and the fact that it did not take place every year. So far, I had to be content with seeing it through the eyes of other writers and journalists. However, as luck had it, I finally got my chance to experience it first-hand. 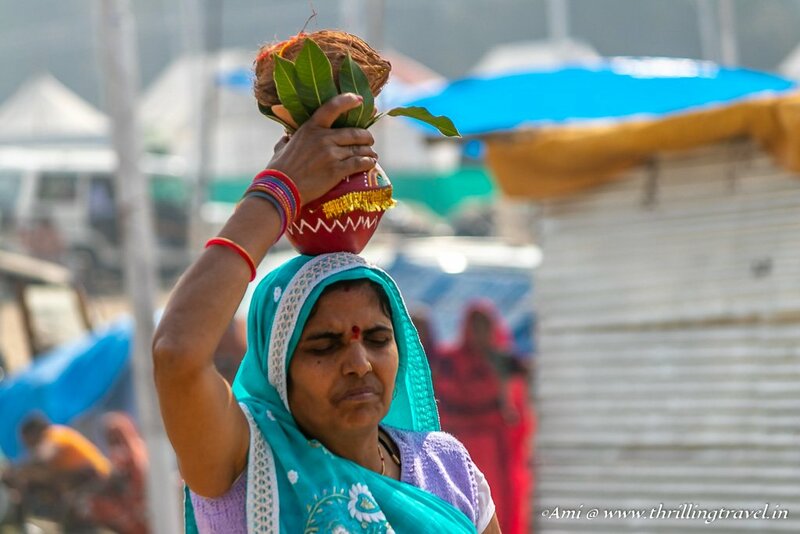 Not only did I learn much more about the Kumbh Mela but enjoyed the kaleidoscope of colors & emotions it brought with it. Why is Kumbh Mela celebrated? 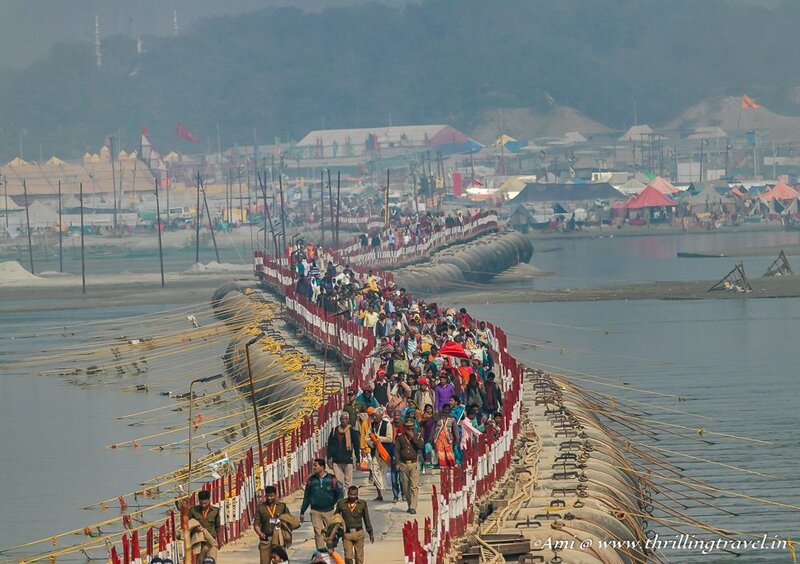 “Kumbh” refers to 2 things in Sanskrit as well as Hindi. For one, it represents the zodiac sign Kumbha or Aquarius. The other meaning is that of a pitcher. Both these words have a significance w.r.t to the “Pitcher Fair” or the Kumbh Mela. Most of you might have heard the mythological story of the churning of the ocean by the Gods and Demons to get Amrit or Nectar. The legend of this festival is associated with this tale of Samudra Manthan. They say that when the ocean was churned and the pot (Kumbh) of nectar appeared, the demons snatched it. Lord Vishnu took the avatar of Mohini to lure the demons and retrieve the pot. A war broke out between the Gods and Demons which raged for around 12 heavenly days (equivalent to one earth year). Somewhere, while transporting the Pot to safety, Lord Vishnu spilled 4 drops of it.